A leisurely automobile adventure through Miami's Bountiful Countryside is a wonderful opportunity to learn a bit about the pioneer era one hundred years ago and stock up on fresh produce, orchids, exotic fruits and home-made delicacies during the winter and spring seasons. The Redland Riot tour emphasizes a few remaining historical destinations and encourages us to enjoy the simple pleasures of the seasonal bounty while helping us to re-discover the rural charm of a century ago. Travel with a large group of cars on one of our scheduled events if you enjoy a mad-capped adventure for treasure, or enjoy the tour on your own anytime. By printing the map and driving directions, this can be a self-guided tour that you can do anytime in your own car with friends. Study the sites, print the map and go. The map and driving directions make it easy to find these wonderful places. Along the way, you'll learn a bit about history and collect some delicious goodies. 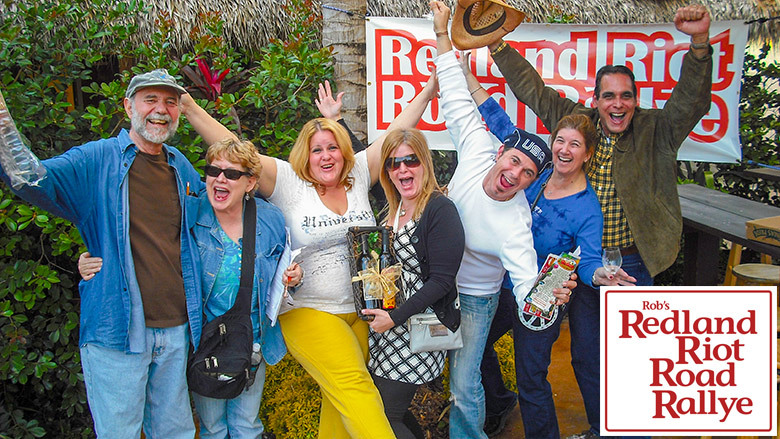 Miami New Times has bestowed the prestigious honor of Best Tour and Best Tour Guide in Miami-Dade County for Rob's Redland Riot tour. If you'd like to join a large group of people on this riotous tour, join the mailing list for more information. Thanks for visiting my web site about the Redland Region. I hope you'll come to enjoy the area as much as we do and share these fun experieinces with your friends and family. The pioneer era of South Florida was a time of legends and great adventurers. Henry Flagler's Florida East Coast Railroad reached Miami in 1895, and Goulds in 1903, signaling a boom era that attracted thousands of families. Enticed by rumors and legends of life in paradise, of balmy winters that cured a dozen ailments, of a land where an abundance of exotic, delicious fruit was said to fall from trees only to rot on the ground, a trickle of bold adventurers arrived before 1900. Before the boom era ended with the great depression in 1929, a steady stream of families, entrepreuners and tourists came south to experience sub-tropical Dade County. As rural, family-based agricultural enterprises were eventually squeezed out by expanding residential and commercial districts, much of the original charm and rustic flavor of the area has faded. Still, if we take the time to look a bit closer, there are a number of lingering reminders of our pioneer era and an abundance of wonderful places to sample the bounty of the Redlands. From time to time, we get together as a group and take this tour on a Saturday as a road rallye with many dozens of cars. Each car is a team. The cost of registration is $10 per car. By answering all the questions correctly, your team could win a prize package worth less than one million dollars. Take yourself and your friends on this tour during the winter or spring months. How much does it cost? Nothing. 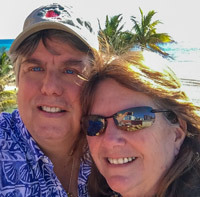 It's a self-guided tour -- a wonderful tropical adventure for you and your friends. Get a free copy of the route map and go. The map and driving directions should be a helpful guide to navigating your way, and we hope you'll find the information about the places we'll stop, as well as some options and dining choices, to be enlightening and entertaining. In addition, some historic homes are highlighted. Be sure to print the map to bring along as your guide. If you'd like to be informed of upcoming events, join the e-mail list. 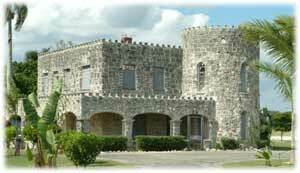 When visiting Miami's Bountiful Countryside, a great place to catch up on local history is the Historic Homestead Town Hall Museum at 41 North Krome Avenue, in the heart of this charming downtown area. Their FaceBook page has wonderful posts about the most interesting items.